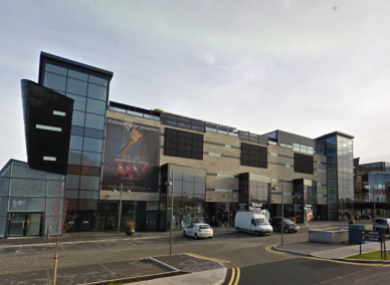 Christopher Fitzgerald died after sustaining injuries during an incident at the Wright Venue in Swords at the weekend. A 33-YEAR-OLD man told gardaí “I’m so, so sorry he passed away, I was only trying to defend myself” after he was charged with killing a man who died after an incident outside a Dublin nightclub. Christopher Fitzgerald, a 34-year-old father, suffered serious injuries following an incident in Swords, in north Co. Dublin in the early hours of Sunday morning. Emergency services were called to the scene where Mr Fitzgerald was being attended to by night club staff. Fitzgerald, originally from Dublin but living in Drogheda, Co Louth, was then rushed to Beaumont Hospital where he later died. The scene of the attack was sealed off pending a forensic examination while gardaí appealed for information. The accused, Daniel Fitzgerald from Whitestown Avenue, Blanchardstown, Dublin, was arrested and detained at Swords Garda Station under the provisions of Section 4 of the Criminal Justice Act, 1984. He was charged today at 3.55pm with the unlawful killing of Christopher Fitzgerald at Airside Business Park on 7 May. He was then brought to appear before Judge Michael Walsh at Dublin District Court. Detective Sergeant Ian Brunton told the court that Daniel Fitzgerald was handed a true copy of the manslaughter charge and he replied: “I’m so, so sorry he passed away, I was only trying to defend myself”. Detective Sergeant Brunton told the court that there was consent to bail with certain conditions including a minimum €5,000 independent surety. The defendant’s solicitor said that with such short notice his client’s family were not in a position to get the amount sought by the garda but had come to court with €2,000. Detective Sergeant Brunton said that he had numerous concerns that Daniel Fitzgerald was a flight risk and €2,000 had been found in his bedroom. He said he was wondering if it was the same €2,000 that had been brought to court. The accused’s solicitor asked the judge to note that in principle there was no objection to bail and it was appreciated that it was a serious charge but Daniel Fitzgerald has a defence which will be born out in due course. Judge Walsh set bail in his own bond of €250 with a €7,500 independent surety which has to be approved. He also said that instead of the independent surety the court would accept a €5,000 cash lodgement instead. Daniel Fitzgerald, who was wearing a black jumper, blue jeans and red runners, remained seated during the hearing and did not address the court. He was remanded in custody with consent to bail to appear again at the same court on Friday. Judge Walsh agreed to impose the other bail conditions sought by Detective Sergeant Brunton. The accused was told that he cannot have any contact directly or indirectly with prosecution witnesses, he has to sign on every Tuesday and Thursday at Blanchardstown Garda station, surrender his passport and not apply for a duplicate or any other travel documents and that any change of address has to be approved by Detective Sergeant Brunton. His solicitor Donough Molloy deferred making an application for legal aid. Email “'I was only trying to defend myself': Man appears in court over Swords nightclub killing”. Feedback on “'I was only trying to defend myself': Man appears in court over Swords nightclub killing”.